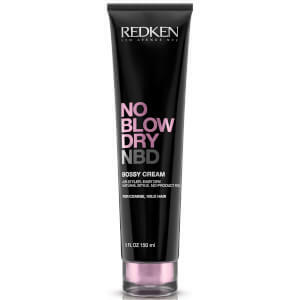 Tame thick and heavy locks with the Redken No Blow Dry Bossy Cream for Coarse Hair. Specifically developed for coarse and sometimes unruly hair, the smoothing cream enhances drying time while adding supple body and touchable texture. 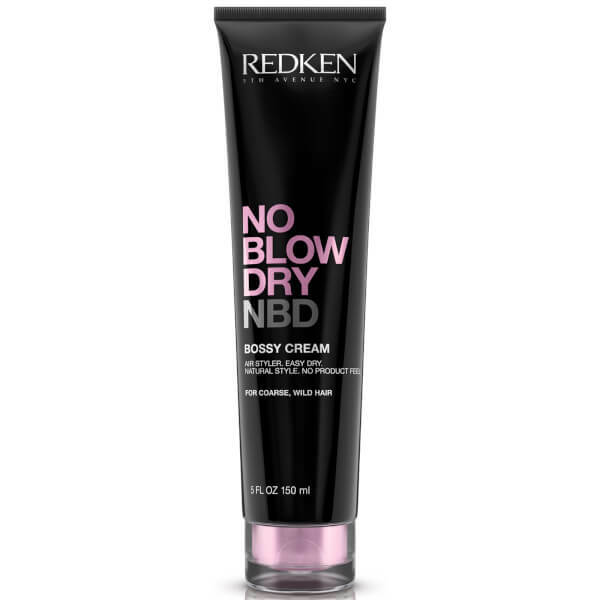 Fortified with new Air-Tex Technology, it infuses locks with quick dry and flex polymers that weightlessly optimise air drying time for natural movement and bouncy style. Hair feels soft, sleek and frizz-free with an effortlessly polished finish. Ideal for those cutting back on heat styling or short on time.